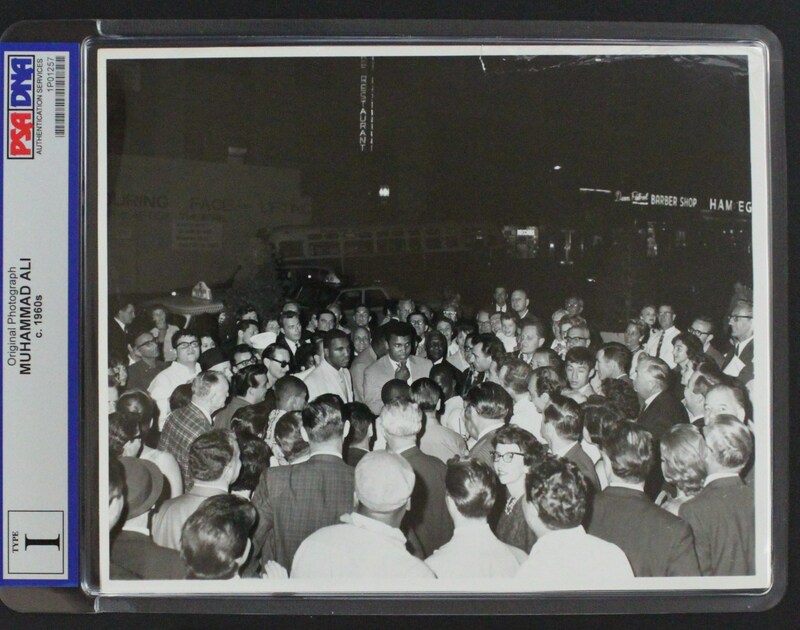 Presented here is a magnificent circa 1960's photo of the incomparable Muhammad Ali being "swarmed" by a typical adoring crowd. 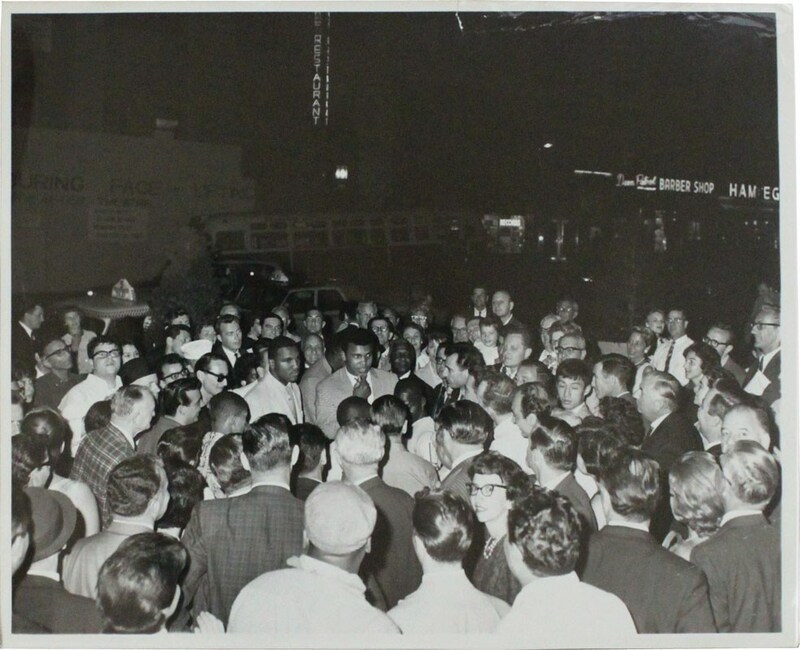 One of the most iconic all-time Athletes, Ali stands right alongside Babe Ruth and Michael Jordon in popularity, with the "trash talking" legend's resume including three WBA heavyweight titles (1964, 1974, 1978); six-time Ringside Magazine "fighter of the year" awards; Sports Illustrated #1 greatest athlete; and being widely acclaimed as the greatest heavyweight boxer ever! His unfortunate death on June 3, 2016 due to complications relating to his debilitating Parkinson's disease was deeply felt across the globe, for it virtually seemed that nothing could ever silence this incomparable icon.